MedModular, an EIR Healthcare product, enhances the quality of life and living through rooms that are on the forefront of technological and design innovations. We’re making hospitals more patient-centric and ready for the future. Patient health and happiness is what drives who we are and what we do. From workflow optimization, technology adoption and facility design and development, a vastly improved patient experience make up the core of each room we build. EIR Healthcare collaborates with each hospital to customize the optimal space. 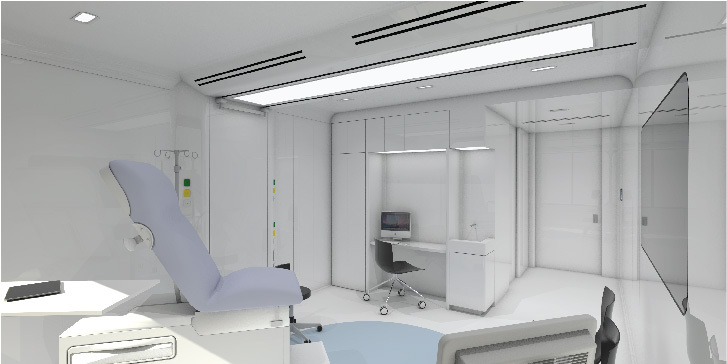 Through our technology and design, doctors, nurses and any healthcare professional interacting with patients in a MedModular room are equipped to provide nothing short of excellence within every interaction. EIR Healthcare was presented with a 2018 iF Design Award for our "Hospital of the Future" professional concept. 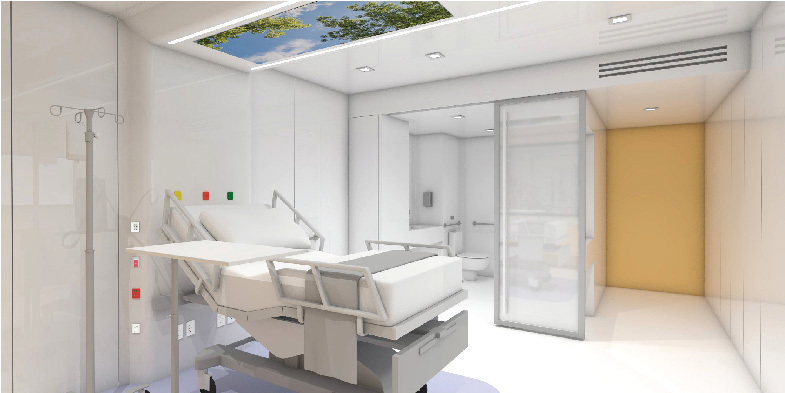 Our MedModular rooms are customized to the type of hospital or healthcare setting – as well as the patients being served. 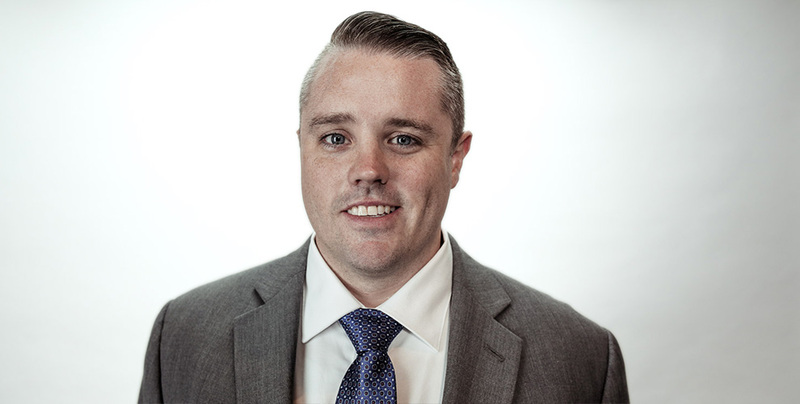 As an orthopedic patient and a cardiac patient have widely different needs and challenges, our solutions are customized to meet those needs, while elevating the patient experience to another level. 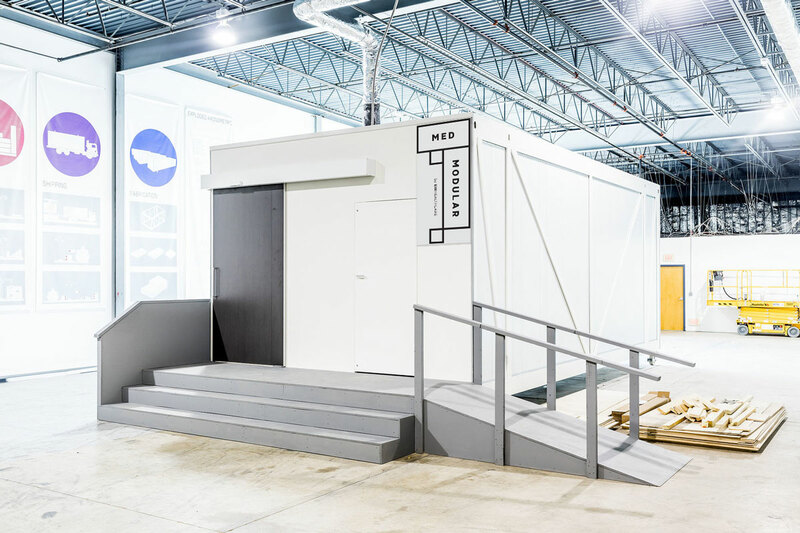 When a MedModular room is delivered, it is done so with every detail already executed from both technology and space design standpoints, which results in optimizing the efficiency in which hospitals and other healthcare environments are constructed – and completed. Imagination rules everything we do at MedModular, from innovative concepts to our five-star service model. We will continue to stretch the boundaries of our creativity to produce that which best serves each person interacting with our rooms. 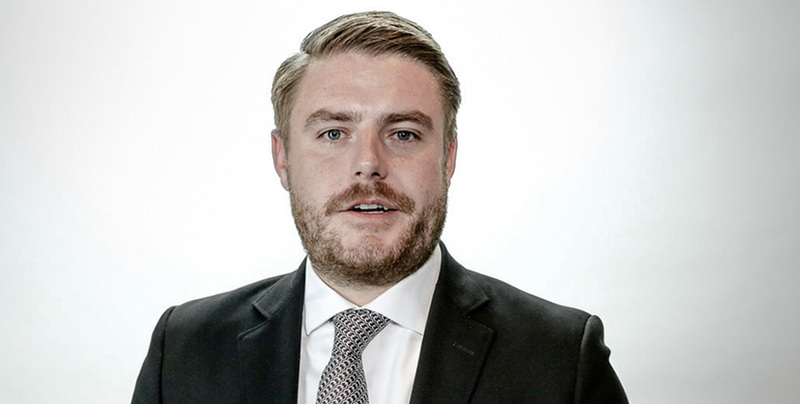 Combining engineering with intelligent resources to shape healthcare on a global scale. We collaborate with our client's design team to create solutions that are tailored to their needs. 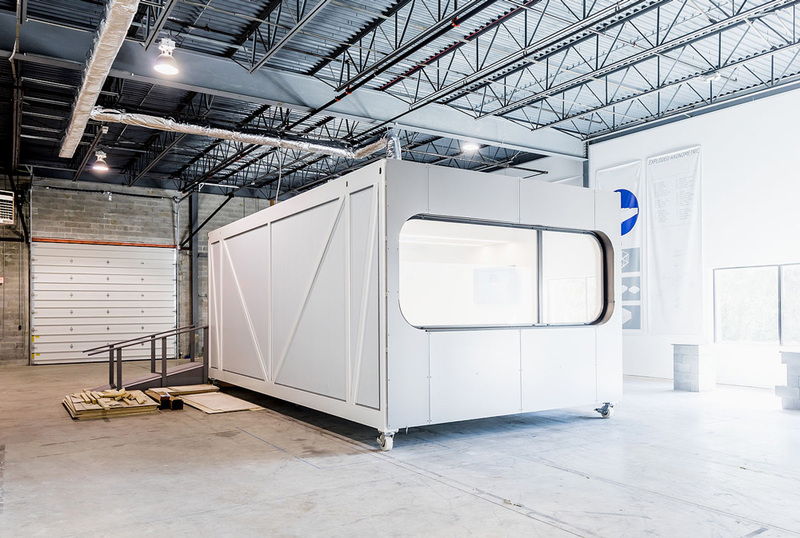 Three-dimensional MedModular rooms are manufactured by the factory. Completed MedModular rooms are inspected, labeled and wrapped before delivery to the client's site. MedModular rooms are stacked on top of each other or inserted into a site-built superstructure. MedModular rooms are connected to the building's infrastructure and each other. We are healthcare experts with a combined 60 years of experience in the industry. 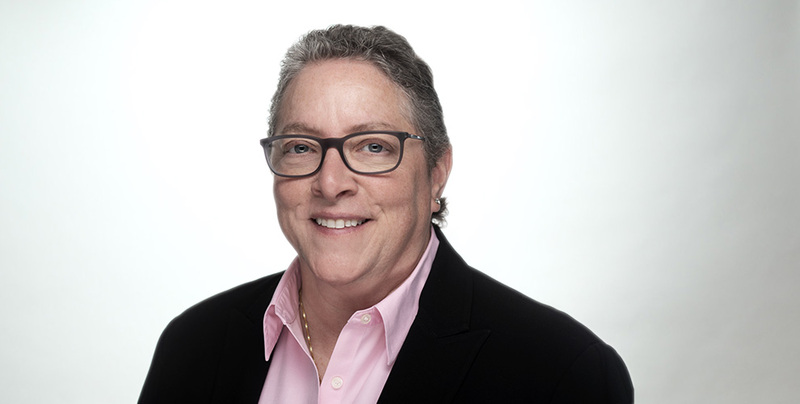 Thus, all of our solutions begin from a place of great empathy for all of the audiences within the healthcare delivery spectrum — from medical professionals to the patients to the hospitals and to labs. 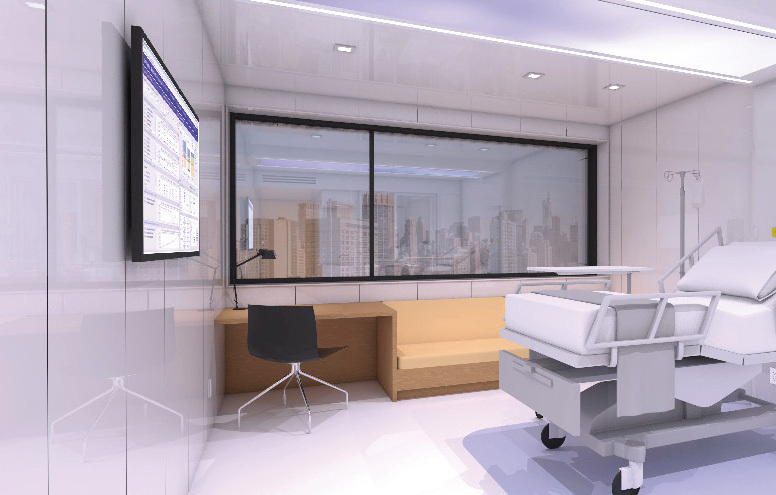 Modular design envisions hospitals as a plug-and-play platform in which patient rooms adapt more nimbly to current conditions. 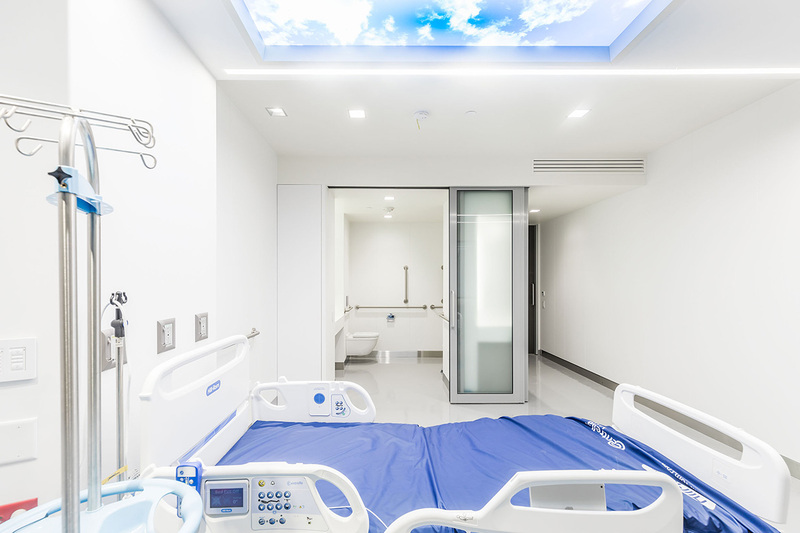 Our innovations deliver a superior, cost-effective, globally-leading product, and do so with extreme efficiency, benefiting all who are involved in the construction of any healthcare facility.